Trinity Catholic High School and FreeD.O.M. 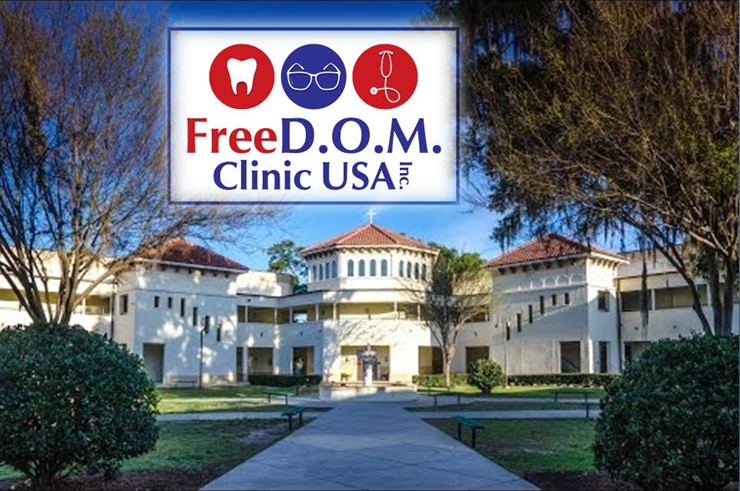 Clinic USA presents free dental, vision, and other medical services. The free clinic will be held on July 20-21 (Thursday and Friday), at Trinity Catholic High School, located at 2600 Southwest 42nd Street, Ocala. Doors open at 6 a.m. and will be first come, first served. Doors will remain open each day until maximum capacity is reached. No appointment, insurance, or identification is needed. The purpose is to serve the uninsured, under-insured, homeless, and low income residents of the community. If you would like to volunteer your services to help those in need, please visit www.freedomclinicusa.org. Ocala Post is a proud sponsor of FreeD.O.M. Clinic USA.